Referendum FAILS by 367 (unofficial) votes. Check back for details. The Board of Education of the Greater Egg Harbor Regional High School District in the County of Atlantic, New Jersey is authorized: (a) to undertake various improvements and renovations at Absegami High School, Cedar Creek High School, and Oakcrest High School; (b) to acquire the necessary furniture and equipment as well as undertake any site work; (c) to appropriate $36,998,000 for such improvements; (d) to issue bonds in the amount of $36,998,000; and (e) to transfer funds between the projects. 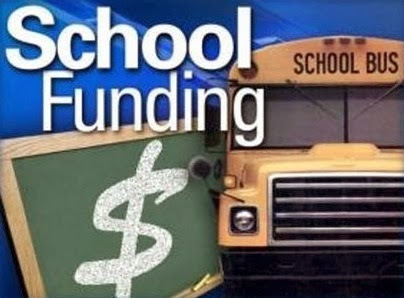 The final eligible costs for the proposed improvements approved by the New Jersey Commissioner of Education are $31,694,344 ($7,110,750 allocated to Absegami High School, $77,094 allocated to Cedar Creek High School and $24,506,500 allocated to Oakcrest High School). The State debt service aid percentage will equal 54.6212% of the annual debt service required to finance the final eligible costs of the projects. The proposed improvements include $5,303,656 ($1,290,000 allocated to Absegami High School, $1,761,156 allocated to Cedar Creek High School and $2,252,500 allocated to Oakcrest High School) for school facility construction elements in addition to the facilities efficiency standards developed by the Commissioner of Education or not otherwise eligible for State support pursuant to N.J.S.A. 18A:7G-5(g). I have so many reasons to vote against this I cannot type them all out so I will generalize. Funding education and funding sports are different and I am tired of paying for Cadillac sports fields for the Escalade / Gourmet Dining class in this town. Second, this is nothing but an excuse for a make-work project for the union Building Trades. They are pushing this kind of stuff all over the state. In Atlantic County they have hijacked the Republican party with tons of campaign cash and taxpayers are expected to pony up to keep the union money flowing. In other areas in the state it is the Dems force feedin this to overwhelmed taxpayers. I cannot afford the costs of special interest $$ that control every aspect of life in Atlantic County. Voters here wanted Will Pauls, the "conservative" union leader, you got him!! As predicted this was shot down. Strip out the unnecessary pork barrel, make work items and it will pass. I guess the interested parties thought that "spend it and they will come" would work. It did not. Science and math lab improvements no problem! Athletic fields? Sorry, not right now. as far as the air conditioning i would be interested to hear more about this, maybe see some bids.